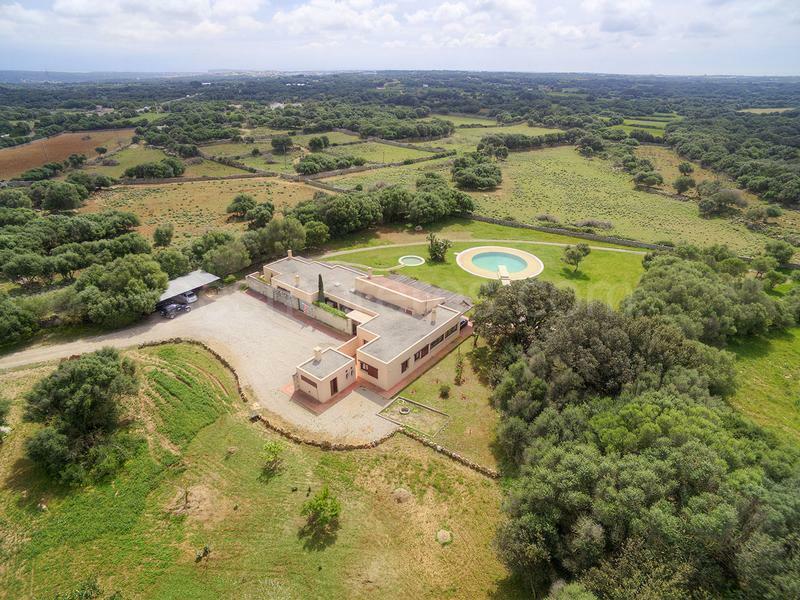 This impressive country estate of 200,000 m2 is discretely located in a privileged location a short distance outside of Mahón. 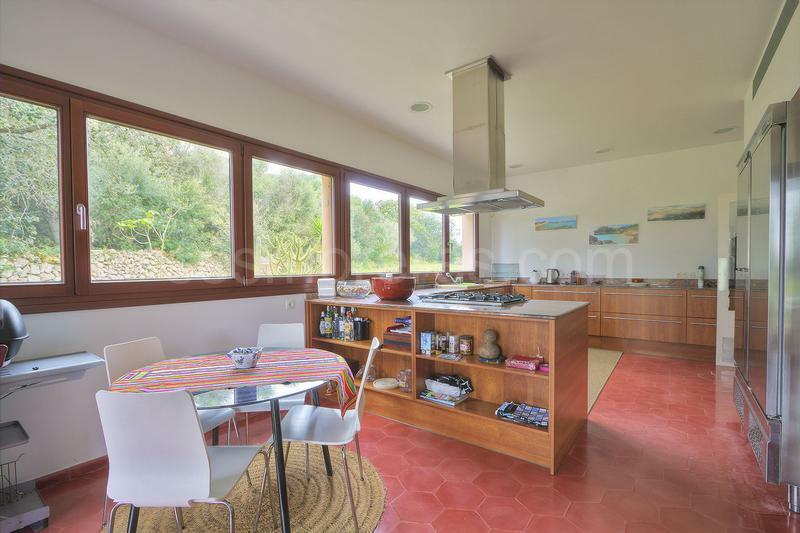 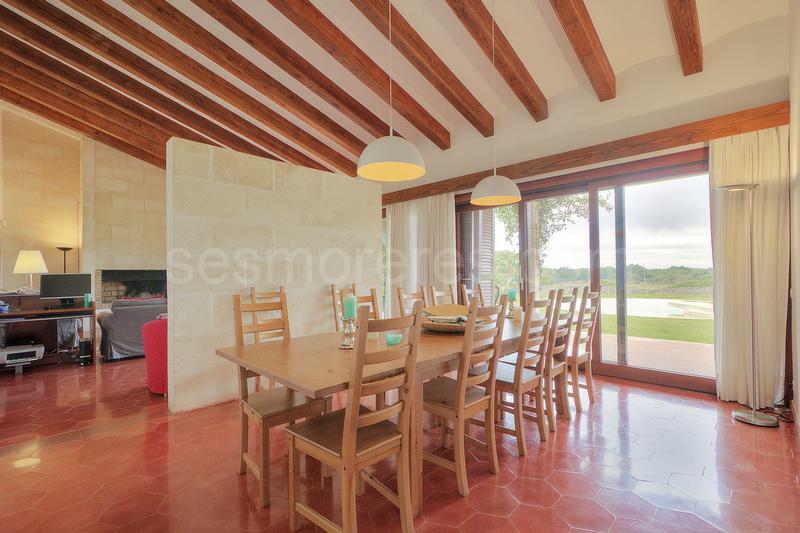 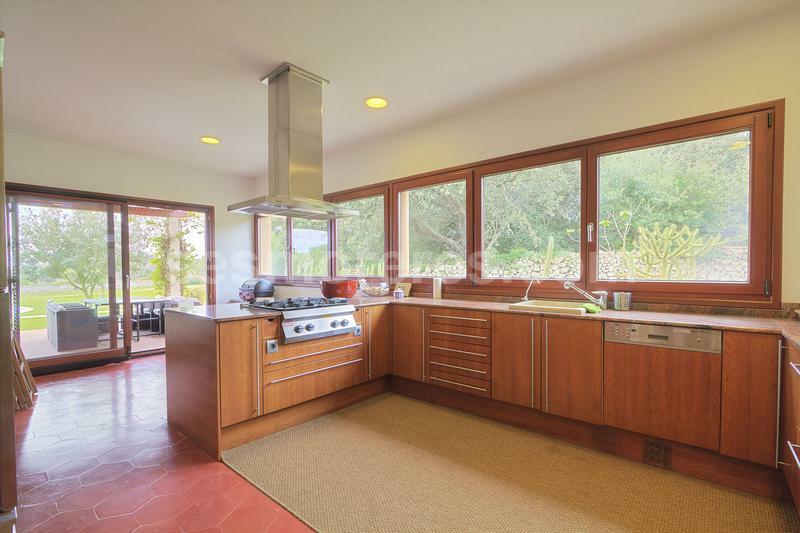 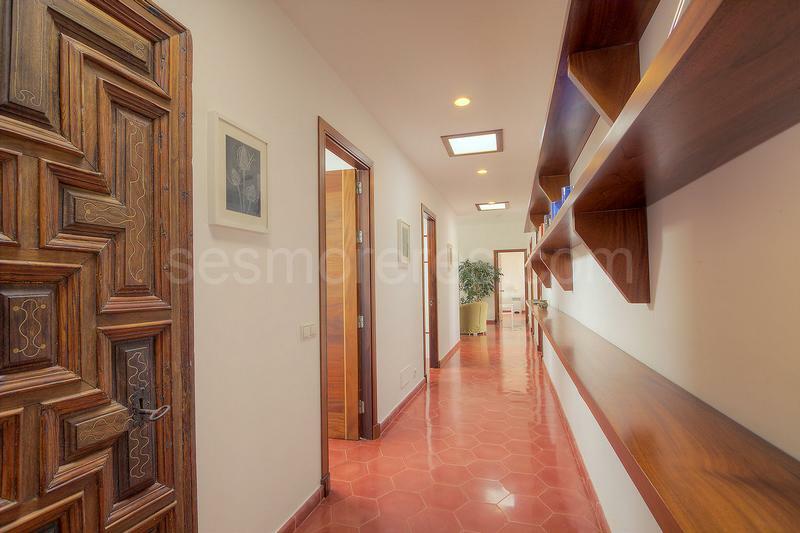 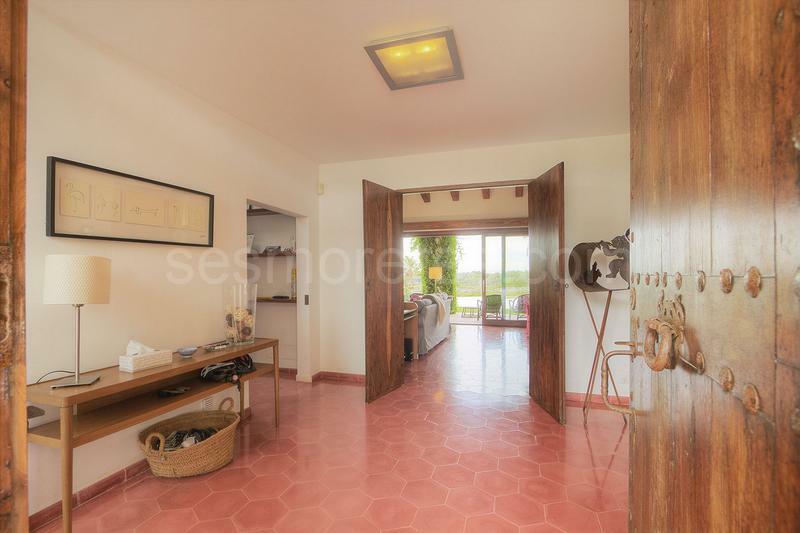 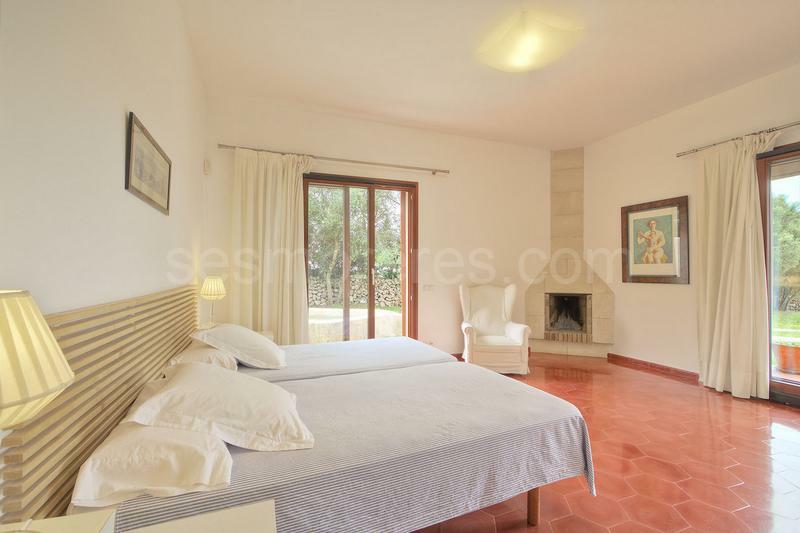 The single storey, contemporary style house of some 400 m2 is maintained in perfect condition. 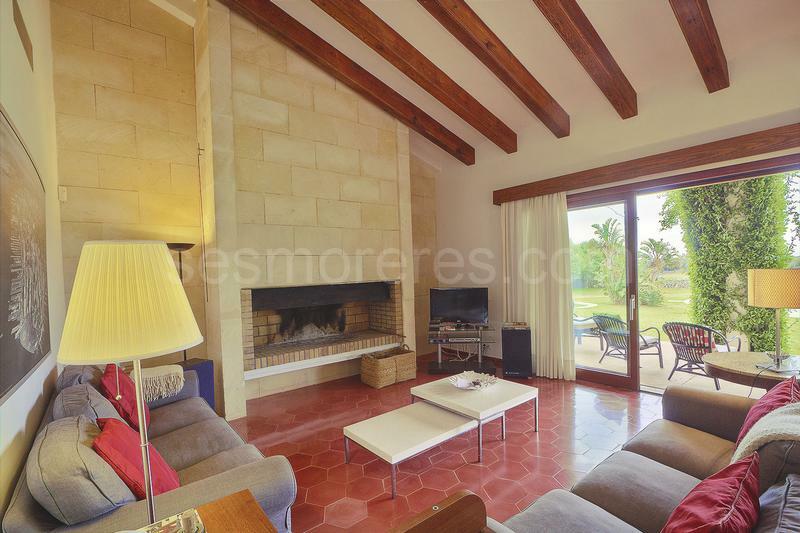 The interior offers a spacious lounge with large fireplace, dining room, kitchen with central table and views over the wooded areas, 4 double bedrooms (1 ensuite with fireplace), 5 bathrooms as well as 2 staff bedrooms, garaje and laundry area. 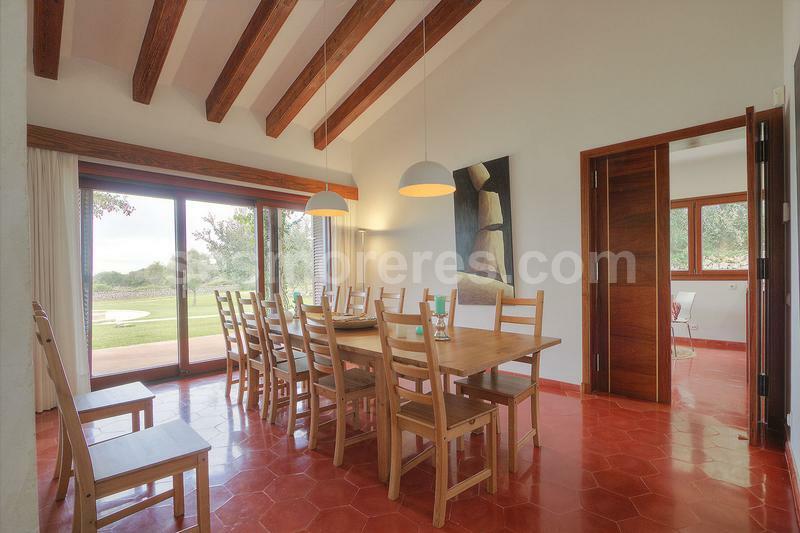 The house is comfortable and with high quality fittings, underfloor heating and air conditioning. 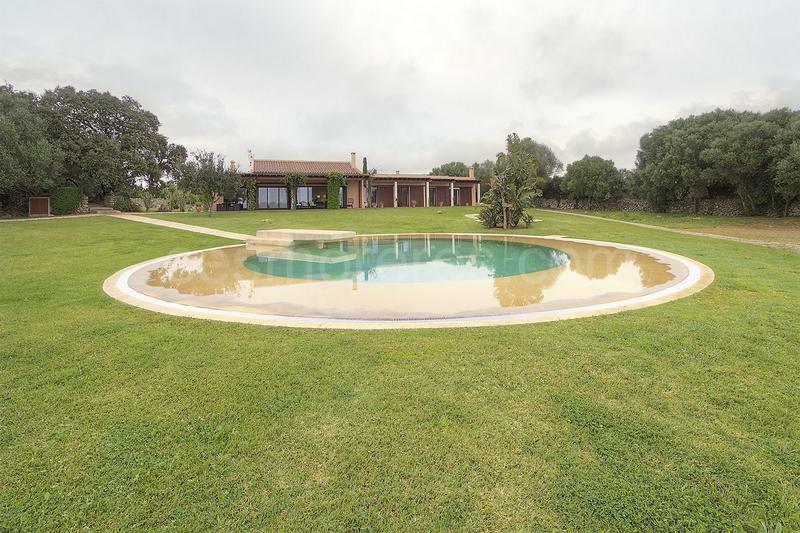 A spectacular round pool dominates the gardens, as well as a smaller pool, lawns, oak trees and mature plants. 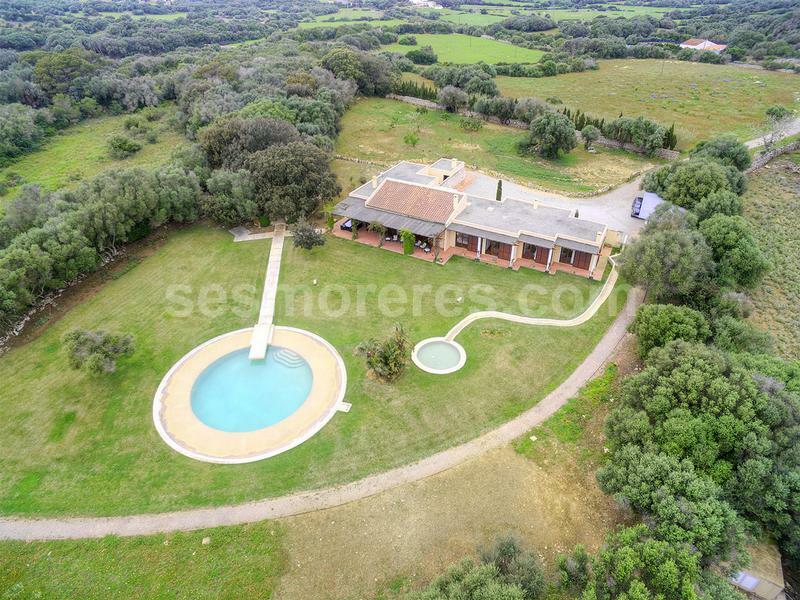 There is a private well and mains electricity.